Baby showers are a great way to celebrate the expectant mom. 4 What Is Fraternal Love? The term "baby shower" is based on the idea of "showering" the expectant mother with baby-themed gifts. Baby showers function as one part social gathering and one part celebration of new life. During the celebration, which takes on a festive and lighthearted theme, the mother-to-be is usually the center of attention and opens her gifts as the guests watch. While variations of celebrations centered around pregnancy have taken place for centuries, the modern style of baby showers became popular with the Baby Boom generation in the post-World War II era. This was the first known time in history when baby showers served the same purpose they do today: guests providing the expectant mother with gifts for the infant to help reduce the financial burden of motherhood. Typically, anyone may throw a baby shower, except for the expecting couple themselves. At one time, it was considered taboo for anyone related to the couple to throw the shower, but this concept is now outdated. Baby showers most frequently occur before the baby is born, usually toward the end of the pregnancy, although they can be held at any time throughout the pregnancy. Traditionally, baby showers are a feminine gathering, including only the expectant mother's female relatives and friends, but this trend is gradually shifting to include more mixed-gender baby showers. Games are often played at baby showers as an icebreaker to help guests get to know each other, as well as lighten the mood. Games help to set a positive mood for the get-together and encourage everyone to laugh and have fun. They may range from trivia to get-to-know-you activities to Baby Bingo, where the standard numbers on the cards are replaced with baby terms like "diaper" and "potty." Baby showers usually involve snacks and refreshments for the guests -- if not a full meal -- as well as favors or prizes for the winners of games. This is a way of showing appreciation for the gifts the guests provide for the mother-to-be. Since the gifts are the prime focus of the event, each one is opened individually by the expectant mother and passed around for each guest to enjoy. Baby showers thrown for mothers who already have children usually involve a smaller number of friends and family than you might find at a shower for a first-time mother. Spencer Hendricks has written for various well-regarded blogs. His work has appeared in the "Kickapoo Prairie News" and online at sprayahen.com and Spencer Vs. The Food Industry. He is currently in the process of obtaining a degree in Web development. What Is the Godparents' Responsibility at Their Goddaughter's Wedding? Is It Common to Fight With a Husband After the Birth of a First Child? 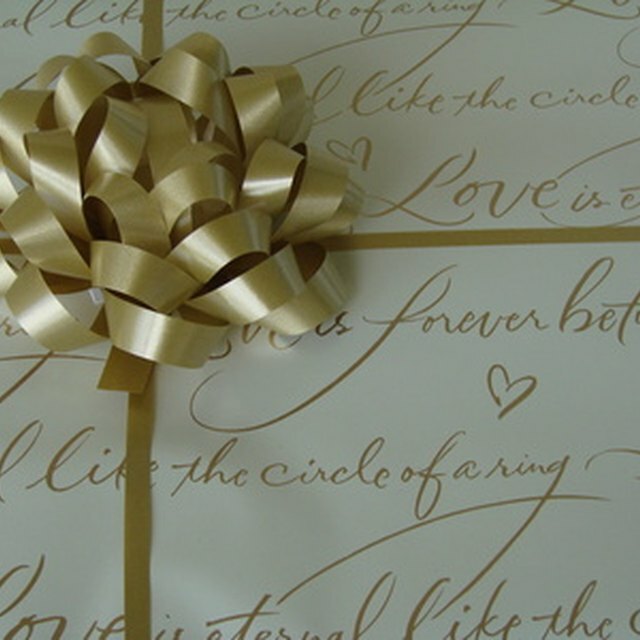 Do a Bride's Parents Give a Wedding Gift?